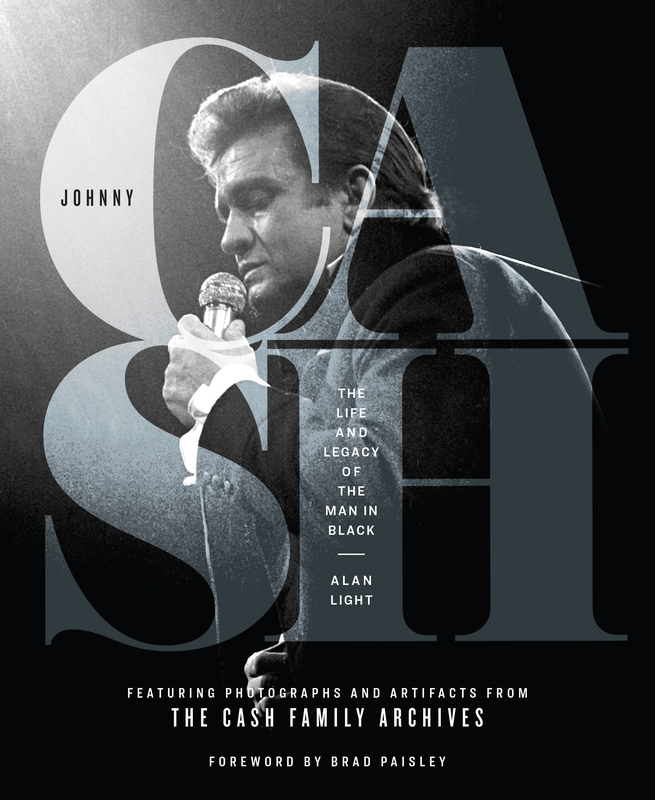 Smithsonian Books has released Johnny Cash: The Life and Legacy of the Man in Black, by music journalist Alan Light. Johnny Cash established himself through a combination of rebellion, determination and faith. He was a spokesperson for the underdog, and his music transcended genre and spoke to the core of the American spirit. This illustrated biography offers an intimate look at the musical icon through more than 100 pieces of largely unpublished material from the Cash family archives, including handwritten notes and set lists; personal photographs of Cash with his family and while traveling and performing onstage; and beloved objects from his home and private recording studio. Light traces Cash’s story from the musician’s origins in rural Arkansas to his early recordings with Sun Records; from his battles with drug dependency to his celebrated romance with June Carter; from his revolutionary creative breakthroughs, including At Folsom Prison and American Recordings, to his death and ongoing cultural impact. The book also examines key recurring themes of Cash’s life, including his social justice advocacy and his sense of faith, revealing a complete and illuminating portrait of a complicated figure. Johnny Cash: The Life and Legacy of the Man in Black is ideal for those who want to learn more about the personal side of the beloved performer. Light, a frequent contributor to the New York Times and Rolling Stone, cohosts the music talk show Debatable on SiriusXM. Former editor-in-chief of Vibe and Spin magazines, he is the author of numerous books, including The Holy or the Broken: Leonard Cohen, Jeff Buckley, and the Unlikely Ascent of “Hallelujah” and Let’s Go Crazy: Prince and the Making of Purple Rain. A two-time winner of the ASCAP Foundation Deems Taylor/Virgil Thomson Award for excellence in music writing, Light was cowriter of the New York Times-bestselling memoir by Gregg Allman, My Cross to Bear, and writer of the HBO documentary Elvis Presley: The Searcher.